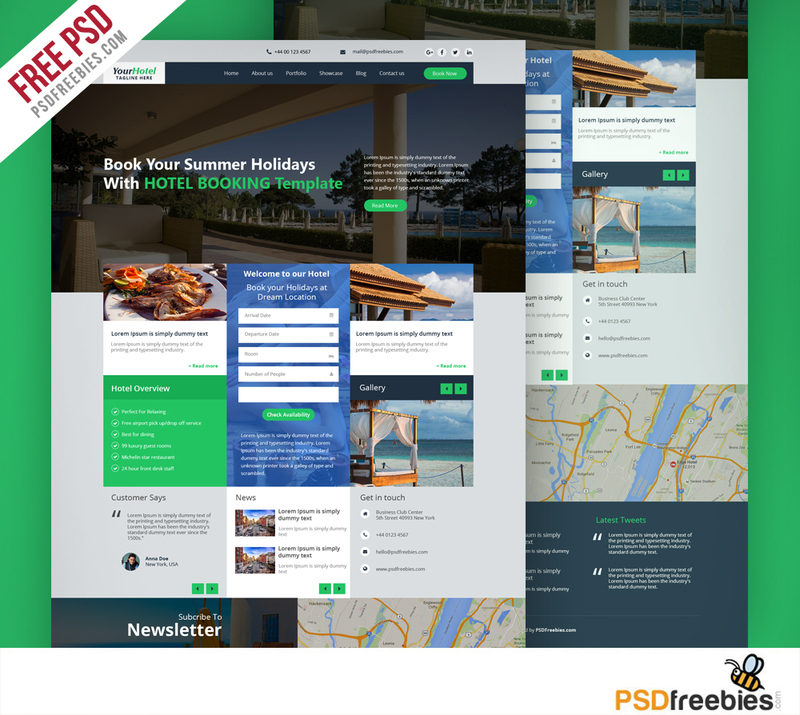 Download Hotel and Resort Booking Website Template Free PSD. This is a uniquely designed travel website template psd designed in Photoshop with a simple & beautiful look. Hotel and Resort Booking Website Template Free PSD which can be used for small hotel, hostel, guest houses, resort, room reservation, travel website template or other. This Travel Booking website PSD Template is well organized and named accordingly so its very easy to change any and all of the design. Template files are built to be 1170 px wide. Hope you like it. Enjoy!